← Visit to Valance and Avignon – following the rivers to the sea. We met Bernard at Rodgers New Year’s Party. 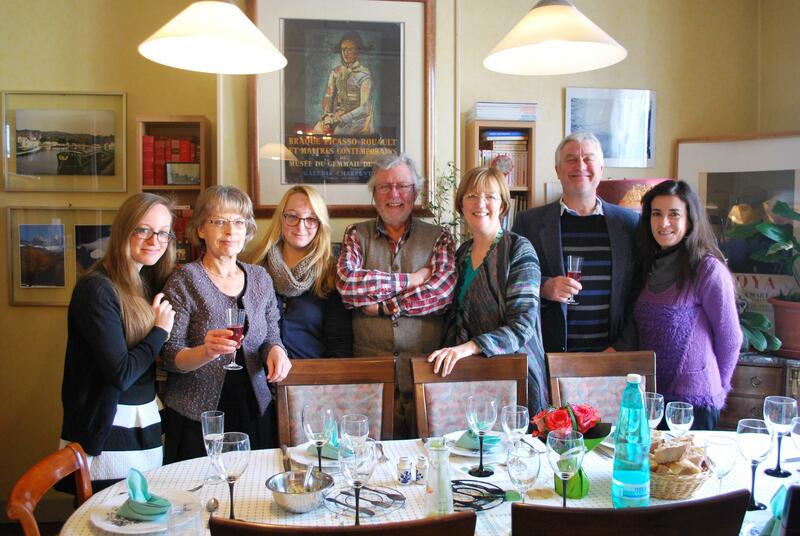 Bernard kindly invited us to Sunday lunch at his home – another new French experience for us. As Bernard lives in the centre of Chalon sur Saone, Rodger, Elham, Nuala and I walked to his home from the marina. On arrival, we were greeted by Bernard his two daughters, Marine and Melanie and his sister in law Catherine. 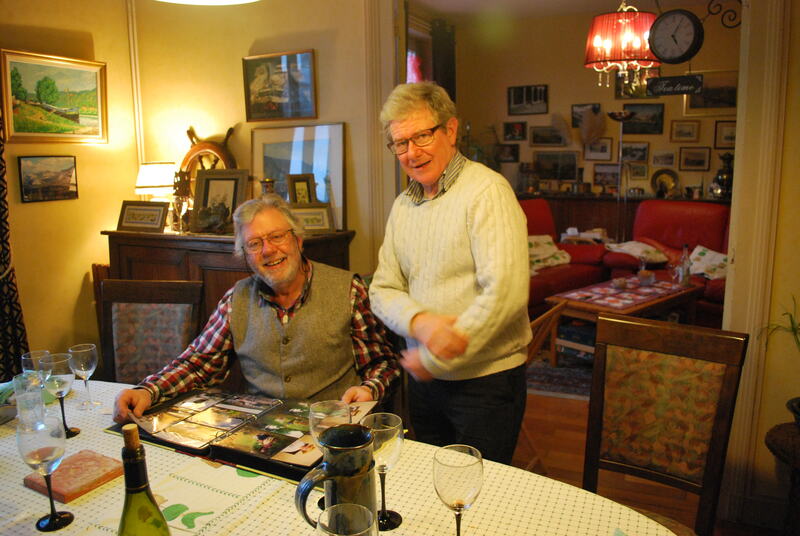 Bernard showed us around his home and talked us through the photos and mementos on the sitting room walls. Bernard has had a very interesting life. He worked in Iran as an engineer for a time and since he returned to France, he has been involved with boats. He and his family lived on a barge for many years and he ran his own boat business and later worked as a manager in a cruise ship company ( that’s where Roger meet him). The photos and mementos on the walls are reminders of different stages of his life. After a chat and an aperitif, we sat down for lunch. 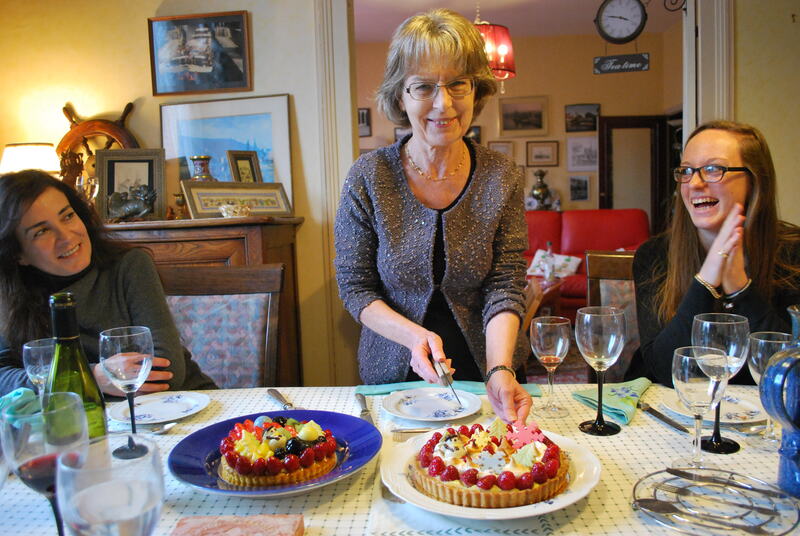 Bernard and his family produced a great meal, starter warm goat’s salad, Beef Bourgogne and pasta for main course, then a selection of local cheeses followed by gateau and coffee. Bernard has a keen appreciation of wine and his wine selection was perfect. Over lunch, Bernard told us about a boating trip he had taken on a hire boat on the River Shannon in Ireland many years ago. After lunch, he went searching for the photos albums and upon finding them, we did a trip down memory lane. He has a great memory and talked about staying in Carrick on Shannon and visiting Clonmacnoise ( a famous Irish monastic site on the banks of the River Shannon). We reluctantly went home about 4 pm having had another perfect day of French hospitality! 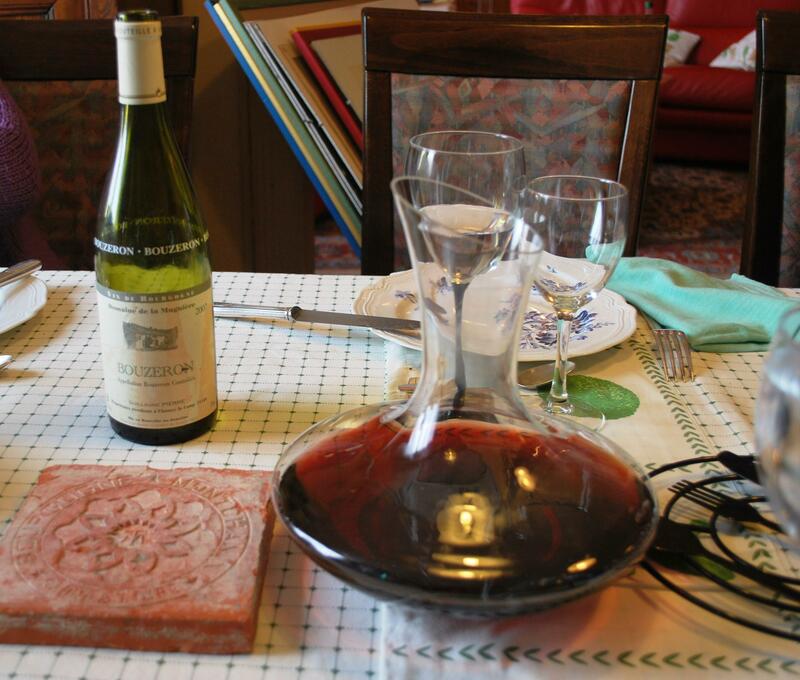 This entry was posted in Chalon sur Saone, comments on life, French Food & Wine, On the Journey, People We have Meet on the Gap Year and tagged carrick on shannon, clonmacnoise, french food and wine, French friendships, french hospitality, River shannon. Bookmark the permalink.